Post Traumatic Stress Disorder (PTSD) can occur after a traumatic life event. Some of the symptoms include anxiety, panic attacks, depression, nightmares, and flashbacks that are triggered by certain sights, sounds, or smells. Service dogs help people with physical disabilities as well as those with emotional needs so that they have the assistance they need to live a better quality of life. After being in a war zone, many former military personnel suffer PTSD symptoms. Unfortunately, these symptoms can affect their ability to work, function in daily life, and have relationships. Service dogs offer many therapeutic effects such as calming, centering, and comforting their owners. The American Psychiatric Association (APA) endorses owning a dog as an effective way of improving one’s mental health. In fact, companionship is just one benefit; the APA also says that dog ownership brings out the nurturer in us. German Shepherds and Belgian Malinois are two breeds that are often used for protection and as service dogs. When looking for a Belgian Malinois for sale in your area, look for these qualities. A service dog trained to assist with PTSD is protected by the Americans with Disabilities Act (ADA), and therefore has the same rights to serve in public places as other types of service dogs. PTSD service dogs are specially trained to ease anxiety in their owners. These dogs are also competent in knowing the signs of a panic attack and to respond properly. When out in public, veterans with PTSD also find it calming that their service dog’s job is to verify that there is no danger ahead. Service dogs are always on the alert. Whether their owner is in the house or out in public, the dog’s training is in full effect. Knowing that they are never alone and are being protected can help someone with PTSD focus on mental recovery rather than succumbing to their anxiety. Pets are good for our mental health, as we know, but a service dog can be even more crucial to one’s healthy state of mind. As is common with PTSD sufferers, falling asleep is a problem, as are nightmares. A PTSD service dog is trained to be by their master’s side throughout the night, and to respond if a nightmare occurs. A recent study conducted by Purdue University showed that veterans with service dogs were 22% more satisfied with life. They also reported fewer incidents of anxiety attacks, depression, and other PTSD related symptoms.  If you’re a veteran looking for K9 dogs for sale that are PTSD trained and ready to support you or a loved one, contact Scott’s Police K9 today. We specialize in Belgian Malinois training and German Shepherd protection dogs that can help you move forward in life with less anxiety.